With the 10th anniversary of Kingdom Hearts this year, Square Enix takes to Nintendo’s portable console once more, this time in 3D. Not only does the game look right at home on the 3DS system, it plays fantastically and is a must have for Kingdom Hearts and 3DS owners everywhere. In order not to cause any upset or spoil the game I will keep the story description brief. Following from the ending of Kingdom Hearts: Coded, Master Yen Sid has put both Sora and Riku through the Mark of Mastery Exam so that they can become true Keyblade Masters and be ready to battle the return of Master Xehanort. 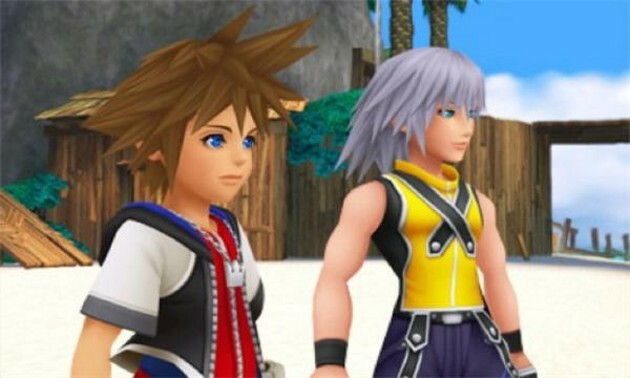 During this test both Sora and Riku are separated and sent to worlds that were destroyed by the heartless and have now been quasi-restored, though this time the worlds are in a “deep sleep” which disconnects them from other worlds. 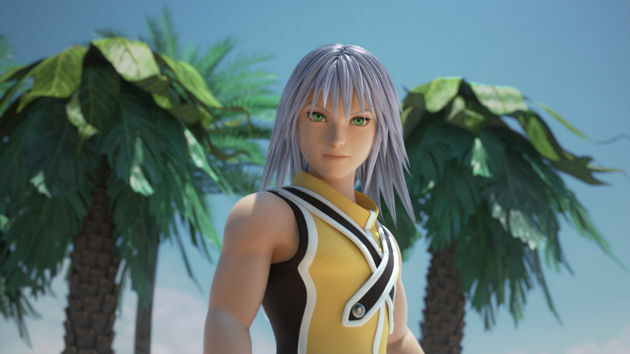 The main objective of the game is to find the Seven Sleeping Keyholes, and for both Riku and Sora to connect up with them. This takes place in several different Disney-themed worlds including “La Cité des Cloches” (The Hunchback of Notre Dame) and “The Grid” (TRON Legacy) and many more. The story features encounters with old enemies such as Xemnas and Ansem as well as a past version of Xehanort from an alternate past. Fans of the series will see familiar locations and characters returning such as Traverse Town from the original Kingdom Hearts, as well as familiar and new Disney characters. 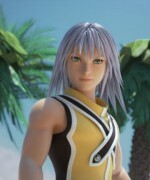 Riku is a playable character with his own side of the story that does eventually link up with Sora who is stuck in another world similar to Riku’s. Instead of traditional Final Fantasy characters playing the supporting cast, this time Square have tapped into one of their most beloved, lesser known IP’s—The World Ends With You. Seeing each of that game’s main characters fully voice acted is an absolute treat, and leaves the door open as to whether or not the game will get its long-awaited sequel. 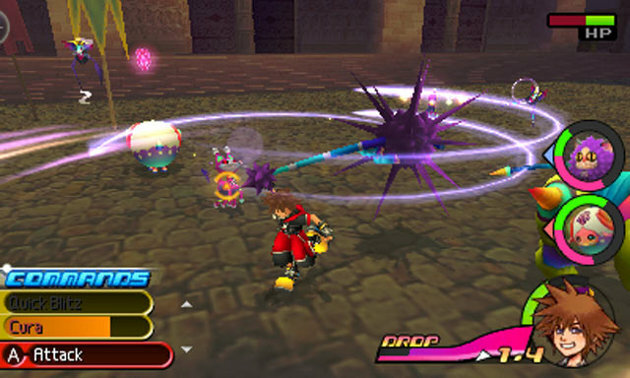 Often games similar to Kingdom Hearts are criticized for how much grinding players are able to do. In this latest instalment of Kingdom Hearts however, players will find themselves earning rewards over time, defeating reasonable amounts of enemies and levelling up gradually. Not only are enemies and bosses spread out well but there are huge areas to explore. This whole system paces the game and it works really well, allowing players to immerse in the story and in game environments as opposed to wailing on enemies constantly during the game. The new instalment also brings with it a ton of new features that are sure to make long-time fans’ of Kingdom Hearts dreams come true. 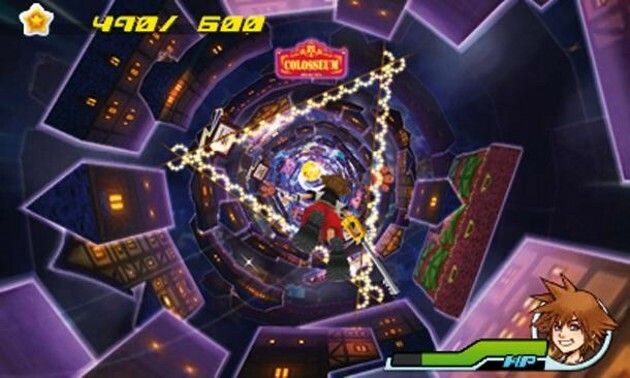 The first of which is a new mode called “Dive Mode” in which players must dive through a spectrum of colours (as either Sora or Riku) earning enough points to open the goal as well as earn prizes. These prize’s range from moves to upgrades and are earned based on your score at the end of each dive, uniquely given to you in a classic arcade-style way. What makes this part of the game even more exciting is that each drop differs from the last, meaning that new prize’s, goals and other rewards are given at the end of each dive. The “Dive Mode” barley scratches the surface when you consider another really spectacular and unique system featured throughout the game, called “Drop”. This system switches between Sora and Riku and at first is activated after particular events or cutscenes. After a while this system becomes part of character HUB and displays a bar of when you will next drop. When the bar starts to run out you can kill enemies to earn extra time, however once it’s empty the game automatically resumes you where you left off with the last character. Of course if you really want to continue as one character for a while, you can do so by visiting a save point and pressing “Drop” on the lower screen. Not only is it a great way of seeing how both Riku and Sora’s stories come together but is a great way of keeping you on your toes throughout the game. Travelling around Kingdom Hearts 3D is a fun filled experience with the new “Flowmotion” feature. Not only does it make travelling and exploring fun and easy but it also helps in combat too, as “Flowmotion” movement can be used to attack enemies with special moves not available in standard combat. This definitely helps keep the combat system throughout the game fresh as well as making use of both screens, as players are sometimes required to swipe in a direction in order to perform a successful attack. Combining this with the familiar combat system from previous games in the series creates a truly fantastic experience and one that never seems to become an utter nightmare. There’s another new feature, called ‘Reality Shift.’ This moves the action from the top screen to the bottom, and freezes time. It enables you to use the touch screen to fling enemies and objects around using an attack called Slingshot. Levelling up offers rewards such as increased strength or an HP boost which as you progress through the game prove more and more useful. Items like upgrades can also be purchased via a shop like menu shown on the 3DS’s bottom screen. Tutorials are also available throughout the game if you need them, offering handy bits of information in concise doses, letting you return to the action quicker. These are perfect for players new to the series and I strongly recommend that new players read through the tutorials that are displayed–advanced players may wish to select the “Standard” or “Proud” difficulties. The game’s visuals are truly spectacular, featuring high resolution cutscenes that exceed the quality of previous games in the Kingdom Hearts series featured on other consoles. Not only do these cutscenes look stunning, but the game itself truly is its own character, with the same cartoon/Disney style that Kingdom Hearts is known for. 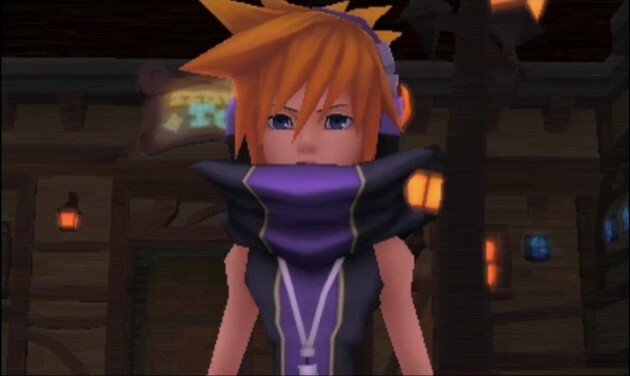 Square Enix’s original characters (from both Kingdom Hearts and The World Ends With You) are looking better than ever (though they are still using hideous amounts of hair gel) and their personalities really shine through their unique designs. Every detail in the game, including the game’s environments and even world introductions, look amazing, and not only create nostalgia for fans of the series, but really capture the Disney universe and magic. The same can be said for the Disney characters too, as each one looks incredible and magical when seen for the first time. A personal highlight from the Disney character designs was “The Hunchback of Notre Dame” characters. Each one felt absolutely life-like and really captured my emotions throughout that part of the game. Kingdom Hearts 3D: Dream Drop Distance features a new enemy called a Deram Eater. However, unique to these creatures is that you can form your own, friendly versions. As you fight the hostile Dream Eaters (called ‘Nightmares’), which seem cute but are actually pretty evil, you’ll collect Dream pieces that can be used to make Dream Eaters of your own (referred to as ‘Sprits.’). You can create these in two ways, from recipes or from scratch. These Sprits help you during combat throughout the game. Built in to this system is an AR viewing system which lets you play around with your Spirit in order to earn bonuses and increase its rating, sort of like a virtual pet. Not only is it a fantastic feature but it’s also pretty unique, as few 3DS games incorporate the AR system in-game. It is a really nice touch from Square Enix. A flood of new characters that each come with their own little twists, from using creepy rhetorical questions to speaking like a true gangster. Once again the addition of characters is exciting and it’s interesting to see how they all fit into the final outcome of the game’s huge story. And finally there are what’s known as Link Portals, which range from challenges to obtaining spirits for a short period of time. This adds yet another layer to Kingdom Hearts 3D: Dream Drop Distance’s huge amount of new gameplay features, and will sure enough keep players entertained well into the game. The game’s soundtrack adds character to every inch of the game’s experience, from exciting boss battle music to the gentle melodies of Traverse Town. One thing to mention is that familiar locations still sound reminiscent of their original game soundtracks, with the music changing only slightly in this new instalment. The main thing I would like to mention though is the voice acting. It really does bring the game to life and creates unique characters time and time again. The voices of Haley Joel Osment (Sora) and David Gallagher (Riku) are back once again and their performance is outstanding. Hayley’s voice really captures the heat of the situation as well as being chilled out and casual when everything is fine. It’s also amazing to see how well all the characters are scripted throughout the game. 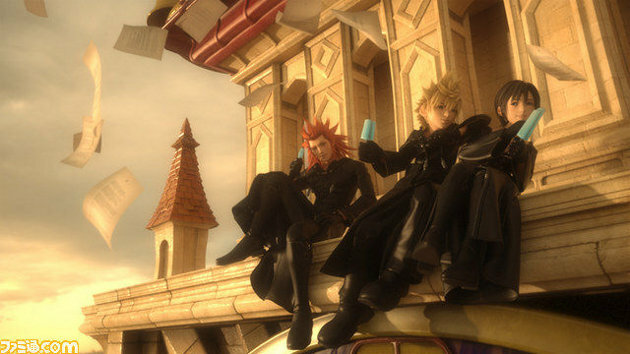 Unlike previous Kingdom Hearts games the music for Dream Drop Distance features a collaboration between composers Yoko Shimomura, Takeharu Ishimoto and Tsuyoshi Sekito, with different compositions from all three. Among the track list for Dream Drop distance are tracks from The World Ends with You composed by Ishimoto, who remixed them for the game. With this combination of talent, it’s clear to see why Kingdom Hearts 3D: Dream Drop Distance’s soundtrack stands out so much. It is a beautiful masterpiece that must be experienced by not just fans of the Kingdom Hearts series, but newcomers too. From dreams to total nightmares! There is however a negative when it comes to the gameplay of Kingdom Hearts 3D: Dream Drop Distance. Whilst the game’s controls and Flomotion system work really well, there are times when the platforming falls flat on its face. Certain sections that Sora and Riku should have been able to access, took several attempts to reach and it just felt sloppy. The camera angle whilst using Flowmotion can also be downright poor. There are lots of new features to keep you playing for hours to come, such as the built in AR mini-games and the Flomotion system. I would say that this is possibly the best Kingdom Hearts game yet, and one of the best titles available on the 3DS. One thing to mention is that whilst I do recommend this game for everyone, newcomers may find themselves lost with the storyline. 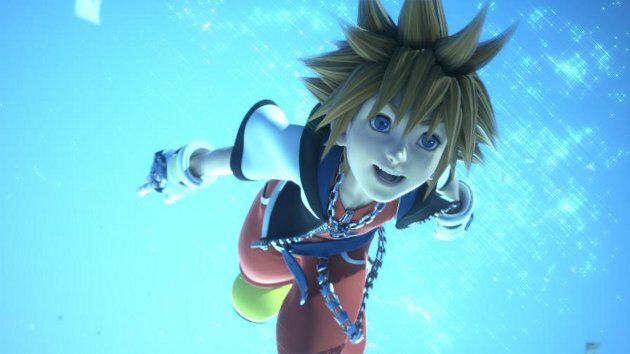 Kingdom Hearts 3D: Dream Drop Distance takes place fairly late into the series’ storyline, and much has happened prior to this game. Great review, Jordan. And I’d have to agree–KH3D is phenomenal on the 3DS. It’s crazy how in-depth developers can get with handheld games. I remember back in the day when I got an original Game Boy bundled with Link’s Awakening and I thought I was living in the future…today! I mean, back then, anyway. Glad to hear you enjoyed the game Chris! And I agree Jordan, thanks for a great review. You outdid yourself, and your timing couldn’t have been more perfect! Thanks for the comments guys It truly is a great game and I’m still working through it now! A special thank you to Chris for helping me with a few of the details Well done all round! Fantastic review! I’m a huge fan of Kingdom Hearts, but I don’t own a 3DS, so I’ll have to wait to play this one. Hopefully they are setting up for Kingdom Hearts 3!